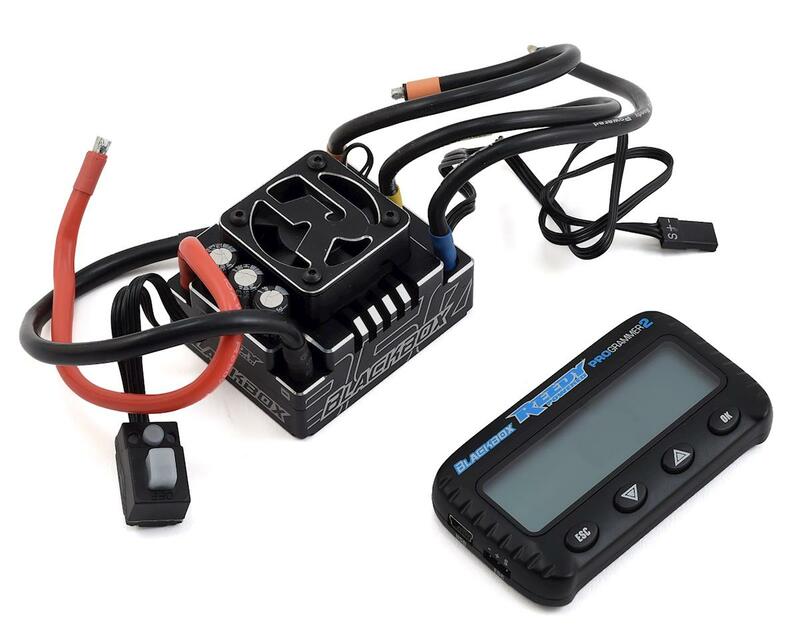 The Reedy Blackbox 850R Competition 1/8 Brushless ESC with PROgrammer 2 is track-tested and competition proven. 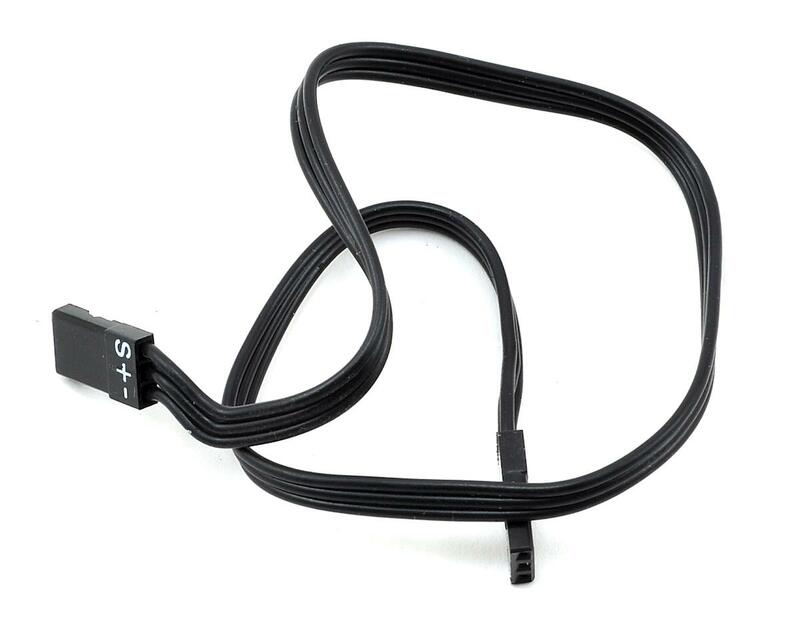 This versatile and powerful ESC is capable of winning at the highest levels of competition. A wide range of precision adjustability, excellent throttle and brake feel, and durable high-quality hardware make the Blackbox 850R perfectly suited for 1:8 Buggy and Truggy applications. The 850R comes pre-programmed with settings that are suitable for most applications and track conditions. But by utilizing the Blackbox PROgrammer2, the full potential of the 850R can be exploited. In addition to working as an ESC programmer, it functions as a battery monitor and USB firmware update device. 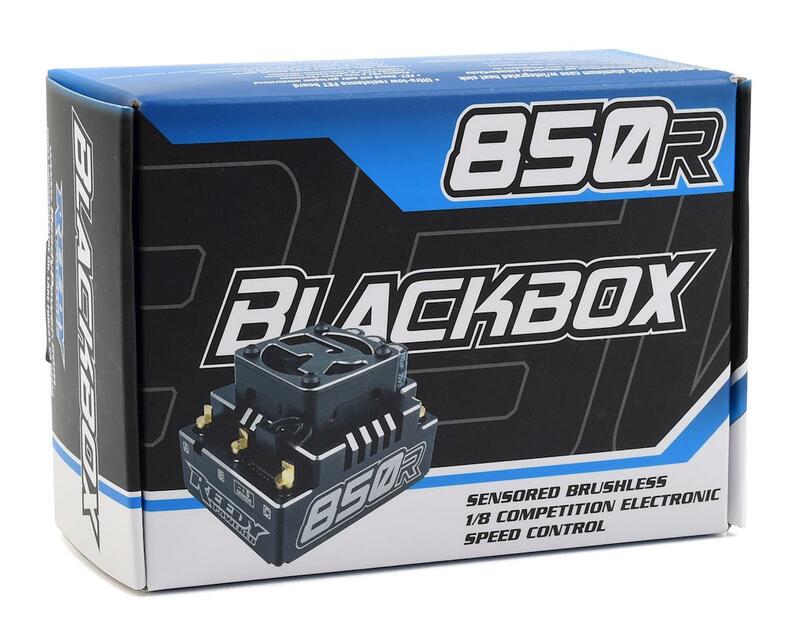 The Blackbox Programmer2 is compatible with the standard firmware installed in your 850R ESC as well as the standard firmware installed in the 510R ESC. If you have purchased your Programmer2 separately, or plan to use one that originally came with a 510R ESC, please confirm that firmware version EE460120 is installed. Brakes: Overall brake strength, frequency, drag brake, initial brake, and punch can be fine-tuned to the perfect brake performance and feel. Throttle: Drive frequency, punch control, and dead band adjustability make the ideal setup possible regardless of the type of motor selected and vehicle being raced. Motor Power: Timing adjustability can be useful on larger tracks or where a slight increase in power and top speed can help experienced racers reduce lap times. Miscellaneous Control: Select between Forward/Brake or Forward/Brake/Reverse mode and adjust the BEC output voltage depending on the type of servo used and desired servo speed. Adjust the desired low voltage cutoff or disable it completely. The temperature at which the ESC cuts motor power due to overheating can also be adjusted or disabled. Reversing the rotation of the motor is also possible.